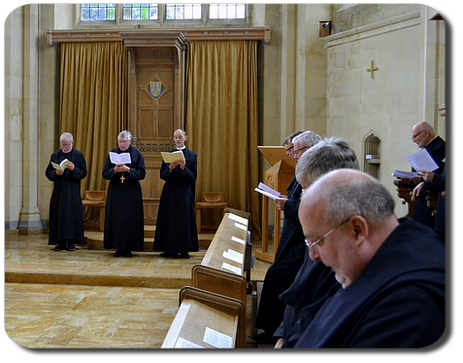 To be a Benedictine monk at Douai is to be a part of a tradition of religious life in the Church that has existed for around 1500 years. From its origins this tradition guided the attempt by like-minded Christians to move beyond the distractions and temptations of a worldly life, to live more intensely the life of Christian holiness, and so to ﬁnd salvation. Today, while the monk still seeks to save his soul by answering God’s call in faith, his vocation is not merely personal, but a gift to the entire Church. His daily life of worship, prayer, simplicity, obedience, study, self-sacrifice, hospitality and service helps to build up the entire Body of Christ in the world. 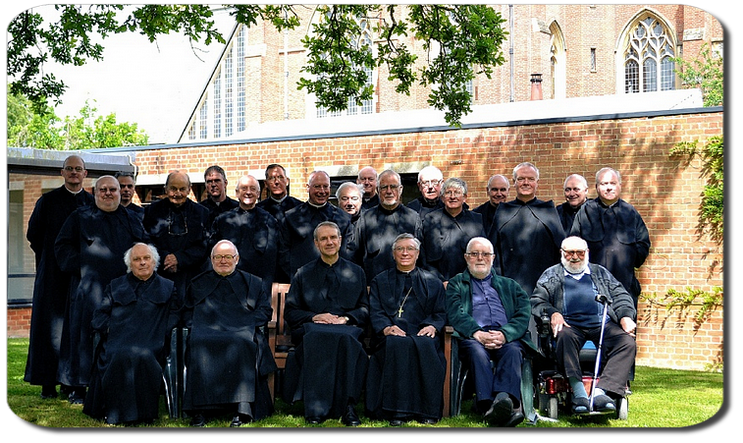 If you are wondering if you are being called by God to share our way of life in His service, then please explore this website for a flavour of our life, especially the page on monastic life as lived by us. Also you should read more searchingly the Rule of St Benedict which is the foundation of our life. Fr Alban, has written at greater length here on the practicalities involved in discerning a possible vocation to monastic life at Douai, and the stages of monastic formation for those who, having discerned, enter the monastery. Fr Gabriel, the vocation director, has penned some more general thoughts on discernment. ‡ An excellent introduction for those making their first, or even second, steps in thinking about vocation is Fr Stephen Wang's How to Discover Your Vocation, which covers all the possible states in life for catholics, male and female. If you are a man who thinks a little outside the box, then you may find this insightful, if unconventional, little book by Kyle Heimann good for provoking further thought.